surprise even to the Blight's editors, who thought they'd killed the piece. Instead, the piece killed Wink — who's found in his garage with the car running. Now the Blight wants to nail the unknown computer hacker who planted the lethal story, and the assignment is right up the alley of a former newshound like Tess. But it doesn't take long for her to discover deeper, darker secrets, and to realize that this situation is really more about whacking than hacking. 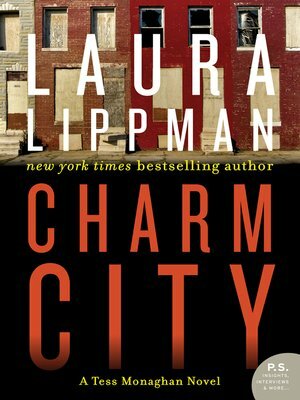 It's just murder in Baltimore these days — and Tess Monaghan herself might be next on the list. As a practiced reporter until her newspaper went to that great pressroom in the sky, P.I. Tess Monaghan knows and loves every inch of her native Baltimore, even the parts being slobbered on by the sad-sack greyhound she's minding for her uncle. It's a quirky city where baseball reigns, but lately homicide seems to be the second most popular local sport. Business tycoon "Wink" Wynkowski is trying to change all that by bringing pro basketball back to town, and everybody's rooting for him — until a devastating, muckraking expose of his lurid past appears on the front page of the Baltimore Beacon-Light. It's a surprise even to the Blight's editors, who thought they'd killed the piece. Instead, the piece killed Wink — who's found in his garage with the car running.